The new Deposit Bonus from FortFS is an exciting opportunity to start Forex trading. This is your way to the largest and most liquid market which has become the main source of stable income for many traders around the globe. Up to 50% deposit bonus acts as an additional margin in your trading account. Don’t let this opportunity pass you by. Available For : All New and existing Traders. Bonus Offer: Up to 50% Deposit Bonus (for every Deposit). A trader can have no more than 3 active deposit bonuses per trading account. Traders can participate in both Welcome bonus promo and Deposit bonus promo at the same time. The total amount of the deposit bonuses received is limited to $ 15 000 or the equivalent amount in another currency per one customer. 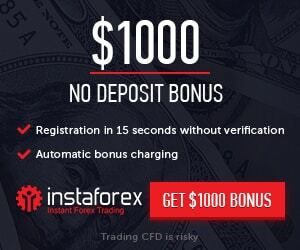 The sum of all deposit bonuses on one trading account (regardless of currency and account type) cannot exceed 5000 USD / 3500 EUR. The maximum leverage allowed for a deposit bonus is 1:500. The deposit bonus can be withdrawn from the trading account without any restrictions if within 3 calendar months starting from the date the bonus was credited the required trading turnover was generated.